Nairobi (HAN) April 26, 2014. 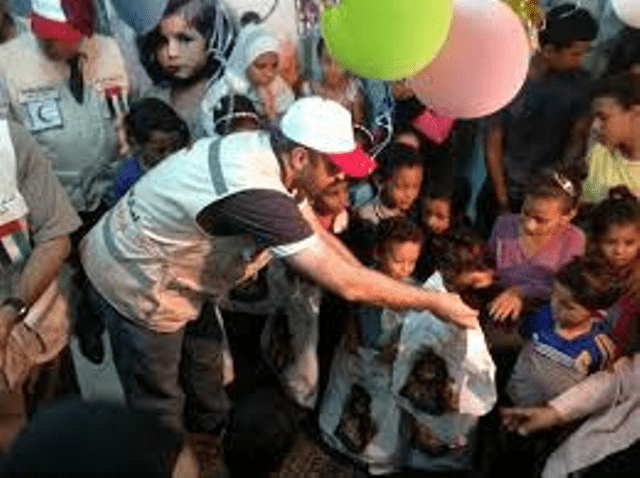 The United Arab Emarites (UAE) Red Crescent Authority has distributed clothing to 5,000 Eritrean children in six Eritrean provinces as part of the Sheikh Mohammed bin Rashid Campaign to clothe one million deprived children to improve the lives of children. The Authority delegation, headed by Ali bin Shamil Al Kaabi, coordinated with the Red Cross Society of Eritrea (RCSE) and officials of the Social Affairs Department in the capital, Asmara, to choose a target audience for the campaign in the areas populated by the most vulnerable and delivered the clothing. The initiative was welcomed by residents and officials in the provinces covered by the campaign, which is bringing help to thousands of disadvantaged children in Eritrea. The initiative embodies the great humanitarian role of the UAE and its wise leadership in meeting humanitarian needs and improve the lives of the needy and adopt initiatives that enhance their ability to cope with their situation. According to – Emirates News Agency, the clothing initiative also complements the efforts of the UAE to improve the situation of children around the world in the areas of health, education and other essential services next to provide for the needs of children and caring for them.